Hello! 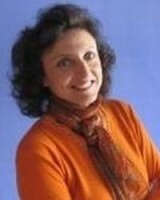 My name is Olga, I am portuguese tour guide, with a license Nº 4597 and a member of the National Portuguese Guide´s Syndicate. In 2011 I graduate a High School of Hospitality and Tourism of Estoril. I work only for private tours, so I can make any tours you want by the continental Portugal: Lisbon, Sintra, Mafra, Ericeira, Obidos, Batalha, Alcobaça, Fatima, Tomar, Coimbra, Aveiro, Porto, Guimaraes, Braga, Setubal, Sesimbra, Evora. I can show you the best portuguese beaches, wineyards, monuments and parks. I drive comfortable Audi A3 from 2017with air conditioning and drinks on the board. If you want want to participate in the grape harvest, I can take you in most wonderful wineyard of Portugal, where you can enjoy the grape collection, maceration, dinner and traditional festival with music and dances. I can give you a professional help to get a Green card of Portugal, to buy a property ou to open business in Portugal. I work with best portuguese lawyers and state agentes, I can show you the places with best portuguese properties to buy, including: villas, palaces, apartments, beautiful farm and wineyards at good price! I speak english, portuguese, russian. Olga is one of the best tour guides I have ever met. Very professional, highly knowledgeable, educated, intelligent, details oriented, excellent driver. It's been a pleasure to meet with Olga and discover Lisbon and Portugal with her. We had a great time spending the entire week with Olga. I'd recommend Olga to anyone traveling to Portugal. Thank you, Olga.